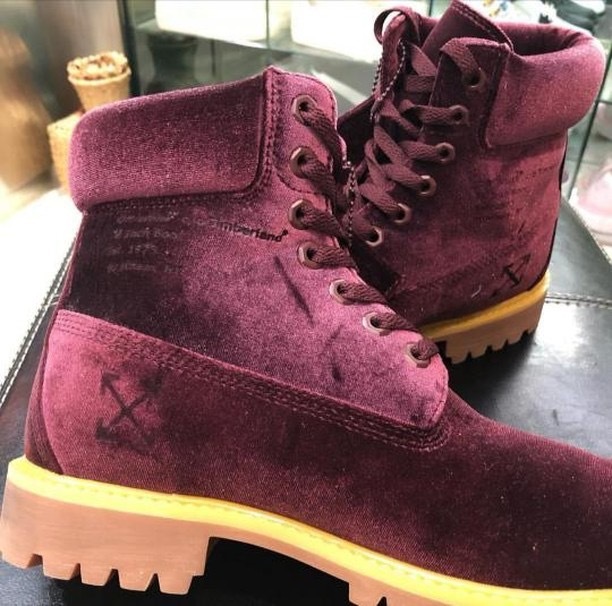 The latest collaboration from Off-White x Timberland has just been leaked in sample form by @earlycop, and it’s making all of our Autumn fashion dreams come true. Dressed in luxurious purple/red velvet, this statement boot is a must-have. Complete with signature Off-White x Timberland branding which appears across the lateral side accompanied by Virgil Abloh’s iconic Off-White logo, this silhouette is a classic with a high fashion twist. The pair’s rich burgundy colourway adorns every element of the design, only to be contrasted by Timberland’s famous chunky block heel. If you’re determined to storm the streets in these beauties, make sure tostay tuned to The Sole Womens for more release information.